PADI’s eLearning is another great way to learn to dive. eLearning is designed to be convenient and easy-to-use. You will be able to access eLearning anywhere & anytime you have a computer with an internet connection available. Also, you will be able to complete eLearning entirely on your own schedule - there are no class times or places to meet. eLearning will keep track of your progress, and you can begin again exactly where you ended your course last time. Anytime during your studies you may contact one of our PADI Professionals at Dive Asia by email or phone for guidance and help regarding the topic you are studying. After completing the online knowledge-based portion of the course, the PADI e-Learning system plugs you into training with one of our PADI Instructors for the best part - DIVING! e-Learning makes continuing your diver education more convenient, more effective and more fun than ever! Which courses can I take online? The PADI Open Water Course course is, by far, the world's most popular scuba certification course. Millions of people have started diving as certified PADI Open Water Divers. Learning to scuba dive requires both knowledge development (facts, principles, concepts) and motor procedures (skills, techniques, methods). The PADI Open Water Diver Course online provides the knowledge development portion you need. The online version of the PADI Advanced Open Water Course includes knowledge development for the two required topics the “Deep Diver” and “Underwater Navigation” dives, along with five of the most popular elective dives. These include Night Diver, Peak Performance Buoyancy, Wreck Diver, Boat Diver and Underwater Naturalist. As with the PADI Open Water Diver course, the entire PADI Adventures in Diving Manual will be available online to divers enrolled in the course. Experience real adventure and be one step closer to Master Scuba Diver, the ultimate non-professional certification in recreational diving. You must be a PADI Open Water Diver before participating in any “in water” training of the Advanced Open Water Diver Course. Most certified PADI Rescue Diver look back on their rescue training as one of the most challenging -sometimes demanding - and therefore most rewarding courses they’ve taken. The subject is serious but the training is fun. After enrolling, PADI’s eLearning® system presents you with interactive presentations that include videos, audio, graphics and reading. The videos are actually integrated into the online program which is a new feature of the online course. Five short quizzesallow you to check your understanding of the presented information before moving on. This lets them move through the program efficiently and at their own pace. End-of-section exams verify your mastery of the entire topic and are automatically scored. This will be the complete theory section of the PADI Rescue Diver course. Dive Asia will administer a short eLearning Quick Review to confirm your understanding of safety-related material from the course. Then, we will complete the inwater training portion of the course. The Instructor will cover ten rescue exercises and two Rescue Diver scenarios in open water. The PADI Enriched Air Diver course covers the knowledge development training as well as unlimited access to the PADI Enriched Air Diver Manual online. Dive Asia, Phuket, Thailand will charge an additional fee for participation in the Practical Application session and enriched air training dives. The course fee charged by Dive Asia includes the required PADI Enriched Air Diver eLearning Crew Pack (Certification Document). The PADI Scuba Tune Up is designed for anyone who wants to refresh their dive knowledge. The program is primarily designed for certified divers who wish to return to scuba diving after a period of inactivity, however, it is also a great resource for those who are returning to a course after a shorter break in the training. While the PADI Scuba Tune-up Online does not necessarily require that any training dives in confined or open water take place, it is certainly recommended so that your skills can be refreshed as well as your knowledge. After enrolling, PADI's eLearning system presents you with interactive presentations that include videos, audio, graphics and reading. Short quizzes let you gauge your progress and review and correct anything you might happen to miss. This lets you move through the program efficiently and at your own pace. Once you successfully complete teh Divemaster Online portion, you will need to successfully complete several practical assessments, workshops and other assignments with your PADI Instructor here at Dive Asia. You will also need to complete the Divemaster Final Exam as well as meet the professionalism criteria. Most certified PADI Rescue Diver look back on their rescue training as one of the most challenging - sometimes demanding - and therefore most rewarding courses they’ve taken. The subject is serious but the training is fun. The PADI Dive Theory Online content is broken down into 6 easy-to-learn sections, covering Physics, Physiology, Equipment, The Recreational Dive Planner, The Diving Environment and Dive Skills. The course is designed for anyone who wants to improve their dive theory knowledge. PADI Divemaster candidates, IDC-bound Pros, IDC Staff Instructor candidates and Course Director Training Course applicants can also use the program to prepare for their course exams. Divers of all levels can take the course for personal enrichment. After enrolling, PADI's eLearning® system presents you with interactive presentations that include videos, audio, graphics and reading. Short quizzes let you check understanding of the presented information before moving on. This lets you go through the program efficiently and at your own pace. End-of-section exams verify your mastery of the entire topic and are automatically scored. Unlike other PADI eLearning® courses, Dive Theory Online does not have a practical component. Completing the online course material is all that is required. The PADI Instructor Development Course (IDC) is the cornerstone of PADI's professional-level training. The course focuses on preparing you to function as a PADI Assistant Instructor or Open Water Scuba Instructor by introducing you to the complete PADI System. The course focuses your ability to use all components of the system as a professional dive educator. After enrolling, PADI's eLearning system presents you with interactive presentations that include videos, audio, graphics and reading. Short quizzes let you gauge your progress, and review and correct anything you might happen to miss. This lets you move through the program efficiently and at your own pace. The eLearning® course covers nine separate topics online to prepare you for the practical sessions needed to complete your Assistant Instructor course or Open Water Scuba Instructor course. The two programs combined is the full IDC. After completion of the OWSI course or full IDC, you must successfully complete a PADI Instructor Examination (IE) and also be a CPR & first aid instructor before certification as an Open Water Scuba Instructor. For all eLearning® courses , the PADI Open Water Diver Course, the PADI Advanced Open Water Diver Course, the PADI Rescue Diver course, the PADI Enriched Air Diver Course and PADI Digital Underwater Photography you develop the remaining skills by actually diving with an experienced PADI Instructor at Dive Asia in Phuket. While the PADI Scuba Tune-up Online does not necessarily require that any training dives in confined or open water take place, it is certainly recommended so that your skills can be refreshed as well as your knowledge. PADI Dive Theory is a great study tool for any diver wanting to kow more. When bekomming a Divemaster or planing on attanding an Instructor Training program the online Dive Theory program is the best study tool available to refresh or learn all the Theory you need to pass your exams. The PADI Instructor Development Course (IDC) online prepares you for the practical sessions needed to complete your Assistant Instructor course or Open Water Scuba Instructor course as part of your professional-level training. The PADI eLearning® course program is offered by PADI directly and all fees below must be paid in Australian Dollar by credit card online to PADI when you enroll in to the program. This fees are nonrefundable and do not cover any costs charged by Dive Asia for the practical part of your training. The PADI Open Water Course online is 181 A$. The fee covers your knowledge development training and gives you unlimited access to an electronic version of the PADI Open Water Diver Manual (course textbook). Dive Asia will charge an additional fee for the inwater portion of your certification. Dive Asia will guide you through this process and may suggest additional equipment along with the required purchase of a Recreational Dive Planner (Table or eRDP version) and a log book. The PADI Advanced Open Water online is 170 A$. The fee covers the knowledge development training as well as unlimited access to the entire PADI Adventures in Diving manual online. Dive Asia will charge an additional fee for the inwater portion of your certification. The online portion of the PADI Rescue Diver course costs 178 A$. This fee is payable to PADI when you enroll in to the eLearning portion of the course and covers your knowledge development training. It also gives you unlimited access to an electronic version of the PADI Rescue Diver Manual (course textbook). Dive Asia will charge an additional fee for the in-water portion of your certification. The eLearning portion of the PADI Divemaster course costs $189 (Australian) payable to PADI when you sign up. Dive Asia will charge you for the practical application portion of the course. There is a separate application fee due to PADI that needs to be submitted with the PADI Divemaster application once the course is successfully completed. The PADI Enriched Air Diver online is 116 A$. The fee covers the knowledge development training as well as unlimited access to the PADI Enriched Air Diver Manual online. Dive Asia will charge an additional fee for participation in the Practical Application session and enriched air training dives, or predive simulations. Please look at our Schedules and Prices for additional costs. 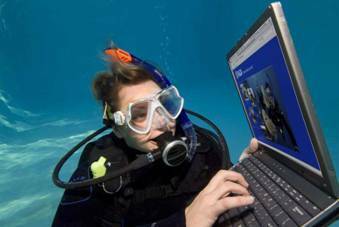 The e-learning fee for PADI Scuba Tune Up Online is 51 A$. The course fee for PADI Dive Theory Online is 105 A$. The PADI Instructor Development Course online is 298 A$ nonrefundable. The fee covers nine separate topics online to prepare you for the practical sessions needed to complete your Assistant Instructor course or Open Water Scuba Instructor course. The two programs combined is the full IDC. After completion of the OWSI course or full IDC, you must successfully complete a PADI Instructor Examination (IE) and also be a CPR & first aid instructor before certification as an Open Water Scuba Instructor. Your Dive Asia PADI Career Development Center will charge an additional fee for the practical sessions of your training. There is an Assistant Instructor application fee or an IDC registration fee and IE fee that must be paid to PADI for processing. You will need to sign in to the PADI web site using the link below and your PADI Profile. If you do not already have a PADI Profile you will be able to create one at the same time.